I want to talk today about the style of storytelling that is taking over the horror genre: Found Footage. This style is created by all or part of the narrative deriving from previously recorded film or video footage that has been recovered after the events of the story have taken place. Its germ of creation came from the film Cannibal Holocaust but was popularized into the mainstream in the Blair Witch Project. Both films utilized the style in an original way and to great effect. Other films such as Cloverfield and Paranormal Activity. There are some inherent risks to utilizing this style, however. Many viewers dislike and even become motion sick from the unsteady, bouncing, use of hand held video cameras or cell phones. 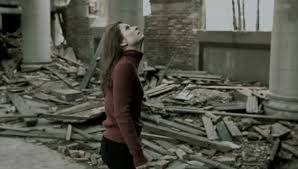 While the shakiness adds a sense of verisimilitude, it more often creates a cheap production value that may either hurt or enhance the scene depending on the skills of the director. 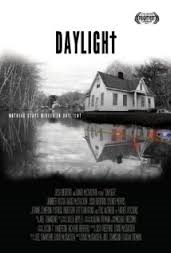 Daylight is a found footage style film that begins with a narrator explaining the set up and the fact that the story derives from two video tapes found of child abuse case workers that have disappeared. 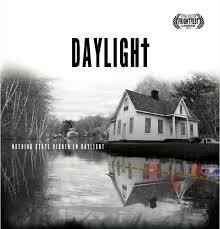 As a horror film, unfortunately it fails on many levels. It’s one of those films with an interesting set up, a slowly developing plot, yet the last third of the film completely does not satisfy as it becomes needlessly confusing by introducing elements to the story that add nothing to its development. It’s also the worse use of the found footage style, completely unwatchable at times unless you’re on Dramamine. There’s a difference for using a found footage style as an artistic choice to tell a story and exploiting it as a means to cover having little to no budget. Unfortunately Daylight comes across as the latter. No amount of realistic film footage can cover for the fact that the final act storytelling is confusing, weak, and unresolved…and not in a creepy-cool kind of way that leaves you hanging with questions, but in the what-the-hell-story-is-being-told-here kind of way. The trend for horror movies to exploit this style is a little disconcerting for me. With a slew of films such as Willow Creek, Mockingbird, The Taking of Deborah Logan, WER, The Hunted, and The Houses October Built, I feel that the technique will be overplayed very shortly…much like the onslaught of comic book superhero movies we’re in line to receive in the next few years. A style of storytelling that's having its day in the sun..